Your security starts at the front door and of course, the determining factor is your lock. For this reason, it is very important to ensure that you understand the best practices to follow when selecting your house door locks. How do you cut across the clutter and select a lock that suits your needs? This is the basic question every homeowner should ask himself/herself. Here are some basic factors to consider when selecting a house security lock. What is the Primary Function of your Door Lock? 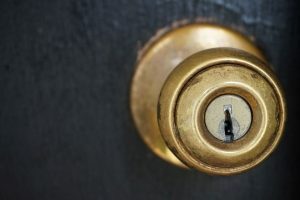 There are three common, primary reasons why you would need a door lock: To have privacy, to have an entry point to your property and lastly, to have passage onto your property. Once you have determined the purpose, you now have a basis for selecting the strength/endurance level for your lock. For instance, your front door needs a higher level of security compared to your in-house door. A high traffic room like your bathroom will require a lock that can hold on longer. An outdoor lock is not only prone to high-level security risks. It is also prone to weather-related factors such as rain or excess sunshine. These environmental factors affect your lock’s security level. Consider that exposure to moisture leads to rust whereas excess sunshine leads to discoloration of your outdoor locks. Therefore, choosing an all-weather lock should be a priority. Does the lock require that you change the hardware in order to install it? If so, what are the consequences? Consider the level of changes you need to make on your house door and also the cost associated. If the cost is manageable and you are okay with the changes that need to be made, then you can go ahead and purchase the lock. However, if the changes aren’t agreeable, you should go for a lock that doesn’t require the changes to be made. In addition, it is important to consider the technical bits when it comes to lock installation. Do you need an expert to install the lock? If so, is there a readily available locksmith who can handle the lock? 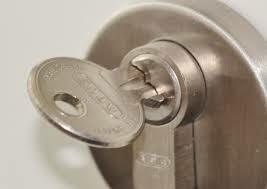 At Armen Locksmith Glendale, we can handle any type of lock no matter how complicated it looks. The cost associated is also fair enough. Apart from the lock having a high-security level, you might also consider what other features come with the lock. Is it elegantly made or just a simple lock? Does the lock design match what you want? The reason why you need to consider additional features is so as to settle for a lock that has attractive features. Before purchasing a residential or commercial door lock, consider these basics. They will help ensure that the lock you purchase meets your property’s standards and that your security is guaranteed as well. 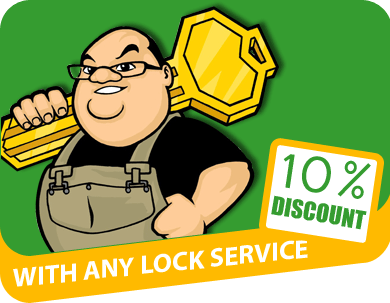 For more advice when it comes to matters concerning door locks, come to Armen Locksmith Glendale.